ASA's projects are based on the continuous research on the ground and the social impact assessment of the built projects. The hands on approach, the use of 1 to 1 mock-ups, and the evaluation of the social response are fundamental tools adopted during the preliminary design phase, the study of the construction details, the prompt address of site issues, and the collection of research data during the use of the building. ASA believes in the value of the design enquiry as a tool to measure the success of architecture projects active at the social level, and puts an effort in promoting research by design and design upgrade. The experience collected on the field proved to ASA the variable nature of the social response to architecture. The success of each project varies according to the positive or negative response of the users to the built environment, but management and maintenance of the handed over building are also essential. 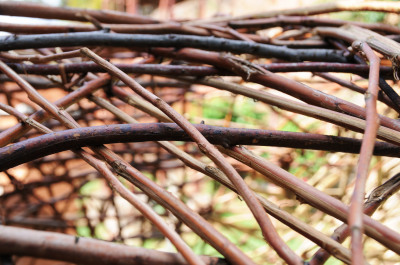 The use of locally available materials is considered by ASA as an opportunity to test, research and improve local construction techniques and innovate traditional construction systems. Moreover, low tech materials and solutions normally adopted in affordable constructions have been a great source of inspiration for sustainable methodologies integrated in ASA's design. In Rwanda the urbanization rate is expected to increase from 16.5% in 2012 to 30% in 2032. This rapid growth translates to 1.7 million people in 2012, 2.8 million in 2020 to 4.9 million in 2032. According to the findings of recent studies, 66% of the population in Kigali City lives in informal settlements (CDC/INFO-HUB 2013 report). In 2015, to address this problem and in line with Vision 2020 and the National Housing Policy, the National Informal Settlement Upgrading Strategy was adopted, with its vision being: “Everyone independently of income, base of subsistence, and location shall be able to access adequate housing in sustainably planned and developed areas reserved for habitation in Rwanda”. ASA is supporting UR and the third year studio students in the organization of a community meeting in Byriogo informal settlement. 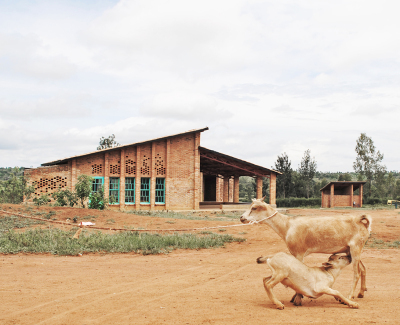 After the design and construction of 8 Early Childhood Care & Development centers, 15 Early Childhood Development & Family centers, and 11 pre-primary schools in Rwanda between 2012 and 2016, ASA is now performing a design assessment to collect preciuos data and measure the social impact of architecture. The research will be very important to understand the effect of design on society and environment, to verify the education improvement in better stimulated children, to evaluate the response of the parents associations in regard to maintenance and management of the centers, and learn from the experience to promote a more active social architecture. In the process of designing the new pavilion for the first pedestrian road of Kigali, ASA collected ideas from a workshop organized by the city of Kigali with the architecture students of UR and tried to implement them in the construction design phase. The use of locally available materials and low tech construction details made the task quite challenging, driving ASA to approach the design through 1:2 modelling rather than drawings. The use of multiple design tools and their change in scale help to push the creativity beyond the limits imposed by materials or lack of means. The aesthetic value and the construction qualities of architecture must return to their basics, where simplicity and genuininess represent the form in all its functionality. Kigali, along with many other urban areas of Rwanda, is rapidly urbanizing, but not the same effort is put to develop the rural areas. 45% of Rwanda’s GDP is represented by agriculture, which employs 90% of the active working population, reason why this sector is considered crucial in all strategies for poverty reduction. Climate change, deforestation, and poor agriculture practices are, in the other hand, negatively affecting environment, society, and economy. In the last decades around 48.000 people living in high risk zones (areas with >25% slope) have been affected by adverse climate events and more than 40.000 have already been relocated. 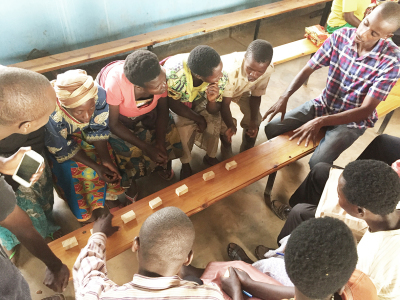 To address the shelter shortage several entities have joined forces to promote the development of affordable housing, empowered by the Rwandan Government’s imidugudu program. This research, carried out in a rural area highly damaged by landslides in 2016, where many families lost farmlands and houses, defines sustainable design methodologies to support the growth of rural villages in Rwanda and addresses issues related to climate change and land exploitation that are negatively affecting environment, society and economy. Through the participatory approach and a studio based research methodology, that involved 35 selected families and 25 third year students from the University of Rwanda, School of Architecture, the investigators collected quantitative and qualitative data to generate design schemes that respond across all scales to the existing environment and the social behaviors of the community. The study outcomes consist in strategies for rural imidugudu design and construction in high-risk zones that implement ecological systems and architecture strategies informed by sustainability, climate adaptation, and local heritage. "Dust is kicked up, spills and puddles stick around, and the floors of peoples’ homes become a breeding ground for mosquitos, parasites, and all of the disease that comes with them. 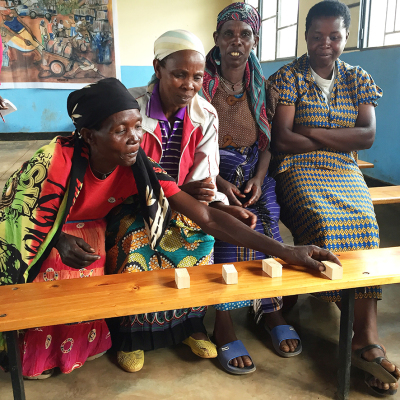 But concrete floors are just too expensive for many families, especially in Rwanda. EarthEnable’s custom-developed earthen floors are the solution. EarthEnable eliminates unsanitary dirt floors and provides affordable, sanitary flooring that can be washed, cleaned, and used to create a healthy home environment for millions of people." ASA worked with Earthenable to test the feasibility of the application of the floor technology on walls plastering. The samples have different thicknesses and different sealing oil quantity, offering after two years exposed to weather interesting resistance results. The technology has been adopted to plaster all the interior walls and floors of RLS Dormitory. Building material made of fired clay bricks or roof tiles broken up into very small pieces, mixed with sand, water and lime and then polished. The technique, imported to Italy from North Africa before 256 B.C., was mostly used for paving and waterproofing water basins. ASA experimented the use of opus signinum in Rwanda as cost effective and low tech solution to plaster toilets, in built furniture and wet areas. The local lime, called Ingwa when mined and Ishwagara when burnt, has shown little hydraulic capacity, but once the plaster has been polished with dish soap it resulted waterproof and very resistant to abrasion. The samples have been exposed to the weather for two years and reacted differently according to their composition and finishing. After receiving a mention for the Asase House entry at the competition organized by NKA (3rd Design Competition, Designing for the Arts), ASA has been invited to organize a design project workshop in Ghana where a housing prototype had to be built in rammed earth. 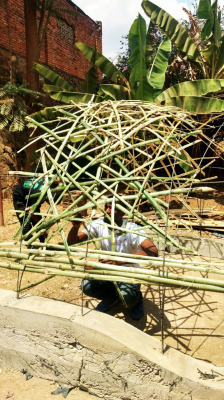 We took the occasion to test the feasibility of the construction, its resistance, and the design of the form works buiding two 1:1 mock-ups at our office. The compressed earth walls have different heights and compositions, they do not have plaster finishing, and they have been completely exposed to the weather for more than two years. 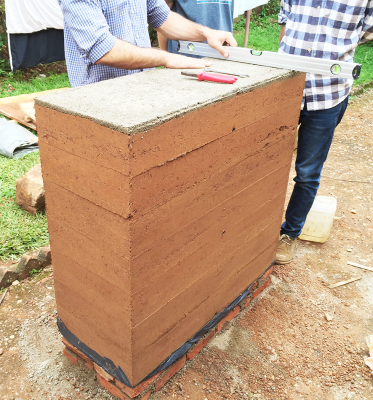 The hands on research demonstrated the feasibility of the technology adoption in Rwandan, its perfect resistance to the local climate, and the good efficiency of the construction technology design (size and assembly of form works, thickness of walls, integrated bamboo structure durability, etc). Passive ventilation and natural lighting systems adopted by ASA and integrated into the design are efficient, cost effective, and attempt to add aesthetic value to facades and interiors. Size and location of the ventilation holes is studied according to orientation and direction of wind driven rain. Despite this, sometimes the ventilation holes have not been appreciated by the users of the buildings and further study of their design has been required. 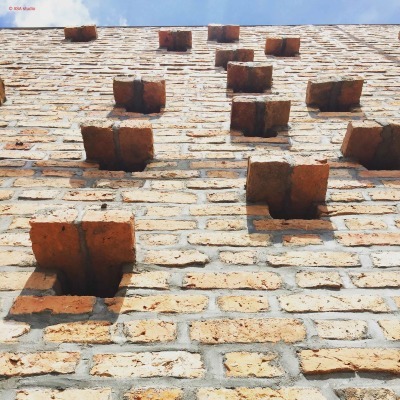 The latest design provides load bearing walls with ventilation holes that are rain proof thanks to their design and placement.